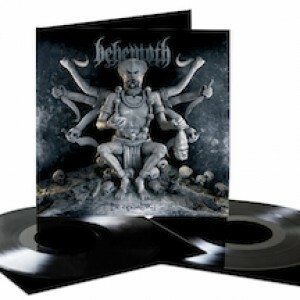 Behemoth have gone from strength to strength, progressing from raw and primitive Black Metal beginnings, to become one of the leaders of the current Death Metal scene. Poland’s Behemoth was formed in 1991 as a trio, with Nergal on guitar and vocals, Baal on the drums, and Desecrator on the guitar. They started with the demos Endless Damnation, and The Return of the Northern Moon. The most significant however, was the third demo— …From the Pagan Vastlands (1993). This tape was released by Polish label Pagan Records and later on by the American Wild Rags. Their next release was Sventevith (Storming Near the Baltic) in 1995. A year later, they recorded their second album Grom, which was released in 1996. Grom features many different influences and musical styles, using female vocals as well as acoustic guitars and synthesizers. The label also secured two European tours for the band in support of Deicide and Satyricon respectively. During that period, Behemoth had to go through some line-up changes and had problems with their ex-Polish label. The new members then were Novy (formerly known from Devilyn, Vader and Dies Irae), who handled the bass duties, and Havok, who became the band’s guitarist. After the line-up changes Behemoth signed with the Polish label Mystic. The follow-up release to Satanica was Thelema.6. Massive guitar parts and precise drumming, with influences from different sources, saw them progress further towards blackened death metal. Thelema.6 was supported by the worldwide press and media, including official releases in Russia and Brazil for the first time. Continuing the support for Thelema.6, Behemoth appeared in several prestigious live events like Wacken Open Air, With Full Force, Inferno Metal Festival, Mystic Festival, and Mind Over Matter Autumn. They started first their headlining tour alongside with Carpathian Forest and Khold, followed by a festival tour in Poland (Thrash em All Fest. with Vader and Krisiun, among others). 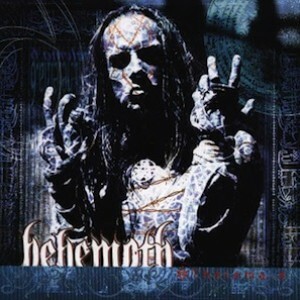 In 2001, Behemoth focused on writing new material for a sixth studio album. Meantime, they completed their second headlining tour in Russia, Belarus and Ukraine. Having completed the recording of their new songs, Behemoth entered Hendrix Studio for the second time, with help of their friend and sound engineer Arkadiusz Malczewski, and produced Zos Kia Cultus (Here and Beyond). In February 2003, the band started their first tour in Norway, playing in cities such as Bergen, Oslo and Stavanger. On March 11, 2003, the American premiere, scheduled by Century Media Records, headlined Behemoth’s first appearance in the American continent. The tour started on the 9th of March at the New Jersey’s Metalfest and continued with a decent amount of shows across America and Canada, with the company of Deicide, Revenge, Vehemence and Amon Amarth. Shortly after doing their first US tour the band was invited to join the Blackest of the Black Tour by Glenn Danzig. The already legendary festival included acts like Danzig, Superjoint Ritual, Nile, and Opeth. In the fall of 2003, Behemoth flew over to US to complete their third tour with Six Feet Under, Skinless and Black Dahlia Murder. The band then played at the Tuska Festival in Finland with Ministry, Soulfly, among others. At that time, due to some line up difficulties, Nergal parted his ways with Havok and Novy, who decided to focus on activities with their own bands. 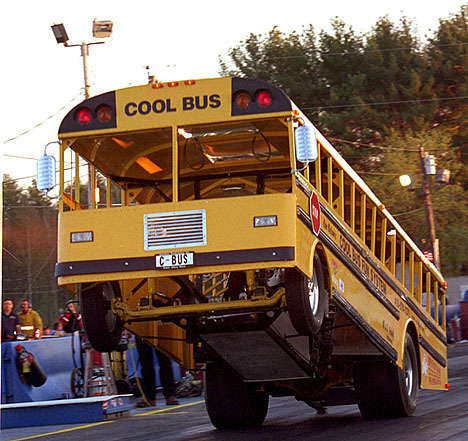 Eventually, the band resumed touring in the UK and Europe. In 2004, their seventh studio album, Demigod was released to good critical response. Recorded at the Hendrix Studios, the album debuted at number 15 on the national Polish album charts. Music videos for the songs “Conquer All” and “Slaves Shall Serve” were also shot. In fall 2005 the band headlined the Demigod supremacy Canadian tour 2005 with Necronomicon. In 2007, the band toured Europe alongside Napalm Death, Moonspell and Dew-Scented. 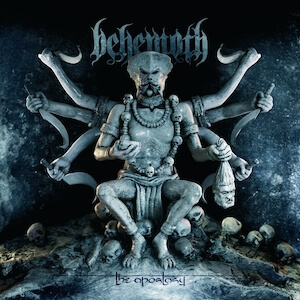 Behemoth released their eighth studio album The Apostasy in July of that year. It was recorded at Radio Gdańsk studio in December, 2006. Shortly after the release of The Apostasy, the band was featured as one of Ozzfest 2007’s second stage headliners, one of the four non-US bands playing that year. In October/November 2007, they played their first US headlining tour alongside Job for a Cowboy, Gojira, and Beneath the Massacre. In October/November 2007 the band toured Europe alongside Canadian death metal combo Kataklysm and Belgium’s Aborted. Live at 2008’s Hole in the Sky.In February 2008 Behemoth began a headlining tour along with Suicide Silence. In April/May 2008 the band toured North America as part of “The Invaluable Darkness” tour with Keep of Kalessin and headliner Dimmu Borgir. Behemoth spent the summer playing a number of prominent festivals all over Europe. In March 2009, the band suggested that the new album, due in the summer, would be produced by British producer Colin Richardson. 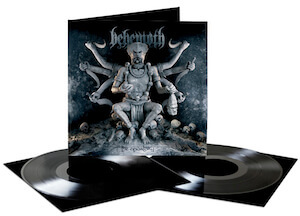 Behemoth released its 9th full length album entitled “Evangelion” on August 9 via Nuclear Blast in Europe and August 11 via Metal Blade in US. Shemhamforash, a track from this album was released in July 2009 on their MySpace profile. In July and August 2009, Behemoth participated in the Rockstar Mayhem Festival alongside a variety of metal bands such as Slayer, Bullet for My Valentine, All That Remains, Trivium, Marilyn Manson, Cannibal Corpse and Job for a Cowboy. 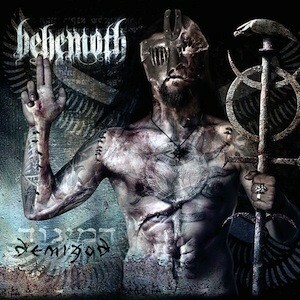 In September 2009 Behemoth headlined the “New Evangelion” Polish tour alongside Azarath, Black River and Hermh. In January 2010 Behemoth toured North America during “Evangelia Amerika Tour”. In March they toured Europe with shows in Scandinavia, Greece and Turkey. In April Behemoth toured Japan, Australia and New Zealand. In May they started European “Evangelion Summer Campaign 2010” with shows on open-air festivals in Austria, Switzerland, Germany, Sweden, Denmark and Poland. In June and July they toured France, Spain, Portugal, Italy, Belgium, Switzerland, Turkey, Serbia and Croatia with Decapitated and Ex Deo. In July and August they performed on next open-air festivals, in Czech Republic and Poland. In August 2010 Nergal was rushed to a hospital and was diagnosed with leukemia. It was reported that his leukemia was so advanced that chemotherapy couldn’t help him, however, this has now been proven false. Doda, his girlfriend at that time, offered her bone marrow for a transplant but tests showed she wasn’t a match. A donor was later found. Behemoth were forced to cancel all upcoming shows in August including Sonisphere Festival in Finland, concerts in Russia, Belarus and Baltic States, and their North American tour “Lawless States of Heretika” with Watain, Withered and Black Anvil. Behemoth’s live DVD “Evangelia Heretika” was released on November 9, 2010. The DVD package included two DVDs featuring Live in Warsaw 2009, Live in Paris 2008, Documentaries, Bonus Material and an Audio CD. On January 17th, 2011, Nergal left the hematology division of Uniwersyteckie Centrum Kliniczne, four weeks after he underwent a bone marrow transplant procedure. It was several months before Nergal was able to resume band duties, but now a new album & tour is planned for 2012.